LiveCycle | Level 1 Learn how to develop XML-Based Interactive PDF forms using Adobe LiveCycle Designer. Create static and interactive forms with input validation, localized fields, and accessibility information. Add an extra day for Livecycle with Database Connectivity. 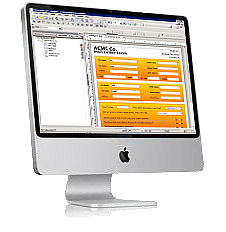 Adobe LiveCycle Creating XML-Based PDF Forms is a beginner LiveCycle Training course. *Note: These topics require an additional day. and Onsite LiveCycle Training nationwide.